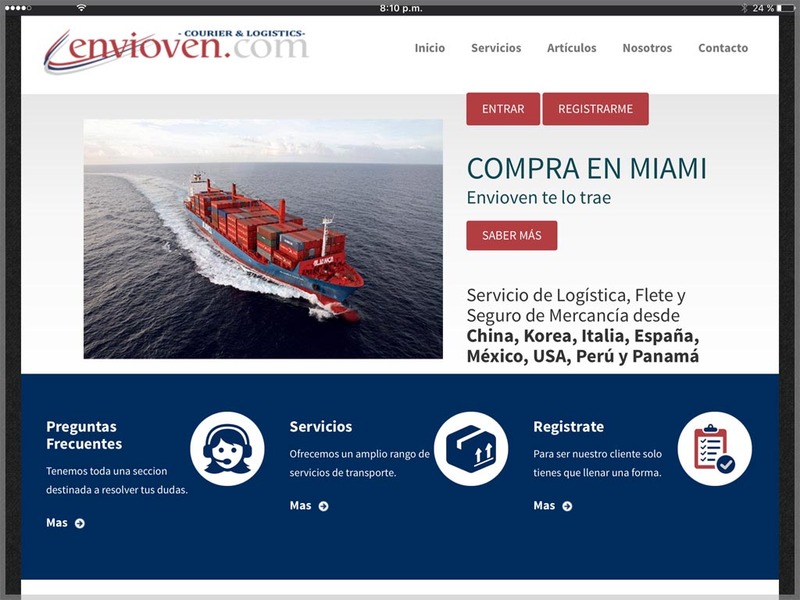 Envioven is a international freight and courier shipments company whose main office is in Miami, Florida, USA, and has the capacity to deliver goods to any destination in Venezuela. They needed a website in order to made known their business and create their contacts with customers. Also in the application users should register themselves through the online system and immediately start receiving packages. The created solution was a web application developed in PHP and MySQL database that manages the entire process with customers and management. Are you ready to have your own website?